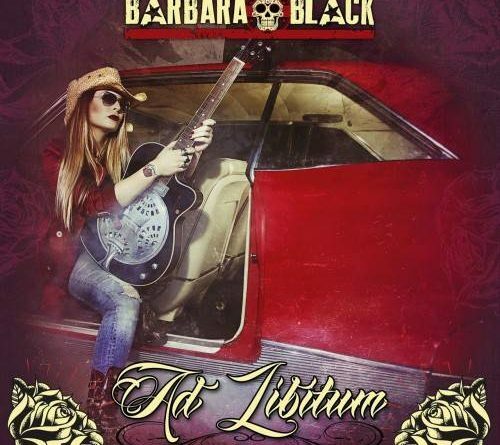 While most likely an unfamiliar name to many of our readers, Barbara Black is rather well known inside Spain having been chosen several times in the Rockferendum of the magazine “La Heavy” (2013 and 2014) and in the Referegun 2014 of the Metalegun website, as one of the best female voices on the Spanish musical scene. In 2014, Bárbara Black accompanied Danny Vaughn (Tykketo) as background vocals in his acoustic performance in Madrid and during the Burning Kingdom´s tour (Danny Vaughn, Johnny Benson, Rasmus Ehrnborn, Tobbe TosiGalen and M.Seoane). So we had a listen to her solo album “Ad Libitum” which was independently released in September. Firstly, there’s a few negatives that I have to mention. Barbara, as a non-native English speaker, has issues at times with her vocal inflection, nowhere more so than on “Bessie’s Song”. On this gospel style song the lyrics become almost unintelligible, and that ruins an otherwise good song. I think had she sang in her native Spanish it would have been better for this one track, but for the rest of the album it isn’t a problem. But the biggest issue I had with the album was the quality of the production. When the drums hit a particularly loud note, or on a few of the occasions when Black hits a high note, it sounds like my speakers are dying, and not in a good way. This is certainly more of an issue on some songs and less noticeable on others. One song had me wondering if they’d recorded on a phone. As I say some songs fare much better than others, for example “Shiva” and “Southern Soul” sound fine. The album dies have a bit of an identity crisis. The album is a mix of songs with not only different influences but also different styles. Some of these would sit comfortably on a southern rock album, others are more country rock, or gospel, with a couple of heavier tracks. Personally I think the latter suits Black best. Now I like a varied album, rather than every song sounding the same, but it can be difficult to successfully market an album like that. In spite of all of that this is a good album that I’d be happy to have in my collection, and here’s why. For one thing, Barbara Black has a genuinely good voice. She wouldn’t have got the attention in Spain mentioned at the outset without it, but the album shows off her voice and her vocal range very well. That comes through clearly throughout the album despite the issues I mentioned earlier. She also has Javier Peláez on guitars, who provides some excellent solos and riffing. Take “Ghost” for example, some real heavy grinding guitars there, and his performance is to a high standard throughout. The production issue I wrote about at times contributes to a feeling of raw energy, while her inflection gives her voice a unique edge. The most notable tracks here include “Ghost”, the heaviest song on the album, as we get to see more of the power in Black’s voice, with grinding guitars from Javier. “A Girl Has No Name” (except maybe Arya) is a more feel good song, much more mellow than “Ghost” but still showing some good guitar work. “Nice To Meet Me” is a song I enjoyed, but it lacks the production quality it needed. “Shiva”, “Alabama Rose” and “Southern Soul” are all worth mentioning too, as they are all good songs and don’t have the production issue. Verdict: Overall this album is a mixed bag with a number of issues, but I’d be happy to have it in my collection for “Ghost” alone, and with a number of other good songs on offer I’m happy with this album. I enjoyed listening to most of it, and I enjoy a variety of pace within an album, which this offers. 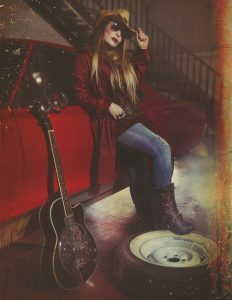 I’m hoping this will get the attention of a label which could provide the support and production quality that Barbara Black deserves, because she is clearly an excellent singer with some great songs to offer.